The Best UK Travel blogs from thousands of top UK Travel blogs in our index using search and social metrics. Data will be refreshed once a week. UK Travel newsletter is a comprehensive summary of the day's most important blog posts and news articles from the best UK Travel websites on the web, and delivered to your email inbox each morning. To subscribe, simply provide us with your email address. UK About Blog The Holiday Lettings Blog is where we showcase some of our amazing and totally unique vacation rentals of UK. We also share the latest tourism trends, give you a glimpse of faraway and exotic locations and provide you with useful tips and advice on running successful holiday rentals. Facebook fans 238,531. Twitter followers 14,038. London About Blog Travel Blog with a side of Food and Photography Inspiration! Our mission is to connect with other travellers across the globe and have a two-way conversation about travel. We also comes with a complete door-to-door travel planner. Facebook fans 195,711. Twitter followers 24,524. Indonesia About Blog A UK travel blog focusing on Deep Travel and getting to know the world through it's culture and food. Personal stories and guides from travel blogger Emily Luxton. Facebook fans 5,227. Twitter followers 18,205. Facebook fans 4,466. Twitter followers 20,378. Wirral About Blog Travelling with kids can be fun Mini Travellers is designed for parents of children of all ages looking for family holiday and day trip ideas, reviews, travel tips and all other things family holiday related. Facebook fans 15,506. Twitter followers 16,152. About Blog Blog by Cathy Winston. Can you really keep travelling with a child in tow? From our experiences on travelling in the UK and around the world, to reviews of the most useful paraphernalia, tips and advice that's what I share in this blog. I'm also part of the Family Travel Collective a network of working together on everything from social media campaign to trips and destination guides. Facebook fans 2,395. Twitter followers 5,622. Kingston upon Thames, London About Blog Travel Republic has been successfully helping people arrange their holidays; short breaks and other travel arrangements for over 20 years. Travel Republic is the highest ranking online only travel agent, independent of any tour operators and with full ABTA membership, included in Travel Weekly's Top 20 UK Travel Agencies. Facebook fans 259,148. Twitter followers 11,797. Devon, UK About Blog Tin Box Traveller is a UK family travel blog that I use to share our adventures and inspire others to explore new places. Facebook fans 675. Twitter followers 7,316. Facebook fans 631. Twitter followers 7,686. England, United Kingdom About Blog Travel to Recovery is where I share my tips, advice and information based on experience from my own travels. I love travelling, seeing new places, tasting new foods or just relaxing by the sea. Facebook fans 1,506. Twitter followers 33,139. About Blog Planning and Enjoying Road Trips Around the World Hints and hacks that will help you get more out of your holiday adventures. Hi, I'm David Morris and I'm not sure whether the road trip dreamer is me or you. Probably both of us. I love planning and exploring the world by road. Manchester, England About Blog I'm Victoria, aka the tall wanderer. I'd been wanting to blog for a while and finally took the leap in April 2017. I want to share with you my experiences of places I've visited. Give you tips I'd wish I'd known before I got there. Share my insights of where to get the best food and more. Facebook fans 221. Twitter followers 291. London, England About Blog My name is Angie Silver and welcome to SilverSpoon London, a luxury lifestyle, food and travel blog. I'm a London-based blogger with a love for the finer things in life and a passion for luxury hotels and fine-dining as well as exciting new experiences and adventure. Facebook fans 4,534. Twitter followers 20,496. Facebook fans 983. Twitter followers 4,189. England About Blog Welcome to Twins That Travel: a travel blog founded by Claire & Laura. Normal girls with normal lives, we want to prove that travelling is for everyone! We believe in honest and authentic blogging that is both relatable and inspiring for any type of traveller. Facebook fans 3,979. Twitter followers 4,729. London and the French Riviera About Blog The Travel Magazine is a travel portal with highly informative, upbeat and inspirational articles for people who love to travel. Get the latest travel news, articles, reports, guides, special offers, competitions and more. Facebook fans 12,187. Twitter followers 2,747,862. London About Blog The Expedia blog is packed full of the latest travel tips of london, competitions & holiday inspiration. Don't just take our word for it.. come and see for yourself! Facebook fans n/a. Twitter followers 18,559. London About Blog Welcome to everyone visiting our blog, The family lives in London, loves to explore their hometown and beyond, and share their adventures via blog posts, photographs and videos. Facebook fans 840. Twitter followers 8,909. London About Blog Golden Tours are experts in London and UK sightseeing, providing day trips around London and the UK for over 30 years. Plan your London trip by choosing from a range of sightseeing tours, day trips and things to do in/from London. Facebook fans 92,910. Twitter followers 12,944. Bristol, UK About Blog UK Lifestyle & Travel Blog written by Lou Archell. Featuring travel & adventure both near and far, food, interiors, botanical inspiration and practical advice on simple living. Facebook fans 2,593. Twitter followers 4,998. Leeds, UK About Blog Pack Your Passport solo female travel blog by Beverley. Get inspired to live, work and travel round the world. Facebook fans 2,418. Twitter followers 10,786. London About Blog Hi I'm Eppie, welcome to my London lifestyle and travel blog where I share my adventures around the city and globe. I'm a self-confessed foodie and can't resist ordering the craziest sounding cocktail on the menu. Facebook fans 554. Twitter followers 2,783. London, United Kingdom About Blog We are an Italian couple based in London. In 2015 each one starts their own trip to Uk, from Italy. We come from the same country but met only in London. We have started this blog for share with friends some of our magic trips, tried to get inside the amazing places all of you are reading now. Facebook fans 344. Twitter followers n/a. London About Blog I am Ella is a travel and lifestyle blog by Ella Dvornik, voted top 3 in the UK by Uk Blog awards. I feel that there is no better gift in life then the gift of exploration, the hunger for adventure and understanding of the world. I have set off to see the world and most of it I share here. Facebook fans 352,639. Twitter followers 14,067. Brixton, England About Blog hat Adventurer is a Top 20 UK Travel Blog written by Hannah Kacary who seeks out adventure whereever she goes. A travel blog which aims to inspire people to try new things and see the adventure in the everyday. Facebook fans 1,009. Twitter followers 5,239. London and all over the world About Blog I'm a London-based British mum blogger and on The Mum Blog I blog about things that interest me and my family - that includes travel, family travel, luxury travel. I'm a family travel expert with years of experience and always happy to provide soundbites or quotes. Blog by Liz Jarvis. Facebook fans 280. Twitter followers 8,704. New York City About Blog Fly.com is a travel search engine that can help you find the best prices on flights from hundreds of airlines and travel sites with just one quick and easy search! We even include taxes in the fare prices so you can quickly see the total cost. Facebook fans 51,021. Twitter followers 12,519. Glasgow, Scotland About Blog A Scottish travel blogger and itinerary planner discovering our best bits. Follow my Scotland travel blog Travels with a Kilt as I showcase my homeland. Facebook fans 832. Twitter followers 9,931. About Blog The Travel Hack is a blog about stylish adventure travel and affordable luxury. We believe luxurious travel can be affordable and isn't just for the rich. Follow along with our UK adventures as we share our trips and tips for incredible travel experiences on a modest budget. Facebook fans 15,219. Twitter followers 38,067. 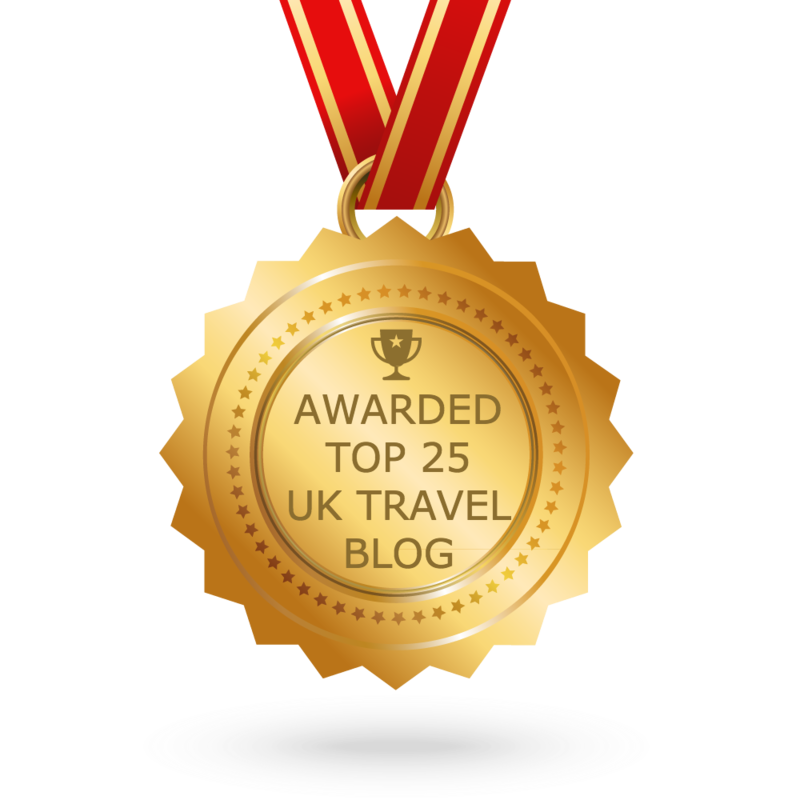 CONGRATULATIONS to every blogger that has made this Top UK Travel blogs list! This is the most comprehensive list of best UK Travel blogs on the internet and I’m honoured to have you as part of this! I personally give you a high-five and want to thank you for your contribution to this world.